Increase your boiler efficiency, safety and reliability for a fraction of the cost of a new one. 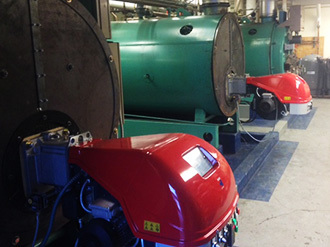 We install new combustion systems and controls on old reliable boilers and other gas fired make-up air equipment. from a combustion upgrade today! Safety and system efficiency cost less than you think. Protecting your personnel, reducing your fuel use, and minimizing your company liabilities quickly offset costs of a new combustion system.